White makes any space feel bright and clean and the color white will never go out of style or favor. It's such a versatile color that it works for traditional designs and yet also works for modern and even transitional styles. I would suggest that over 50% if the kitchens I have designed and built over the past few years have been white. Neutral colors go with anything and can provide a perfect backdrop for other colors. One can use other colors as a splash of wall color, window coverings, linens, or decorations to highlight or accent the space. These items are easy to switch out, so if you like the idea of changing with the season, it's easy and cost effective. Stainless steel appliances, plumbing fixtures and drawer pulls make a beautiful contrast and will highlight the white cabinetry. Using white as the dominant color allows for a focal point to stand front and center. 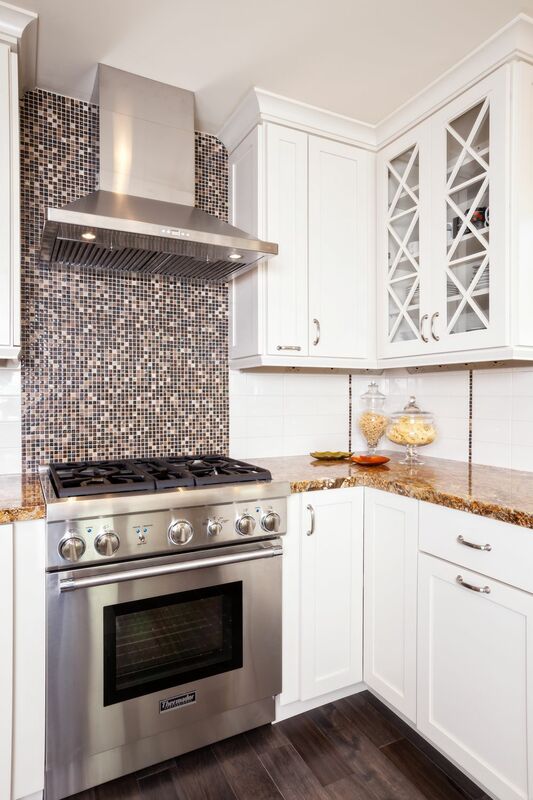 In this kitchen, the mosaic backsplash tiles that were used behind the gas range and then again used as vertical lines against the white tiles, act as jewelry for the kitchen; it's fun to have a focus, something that is special and stands out. 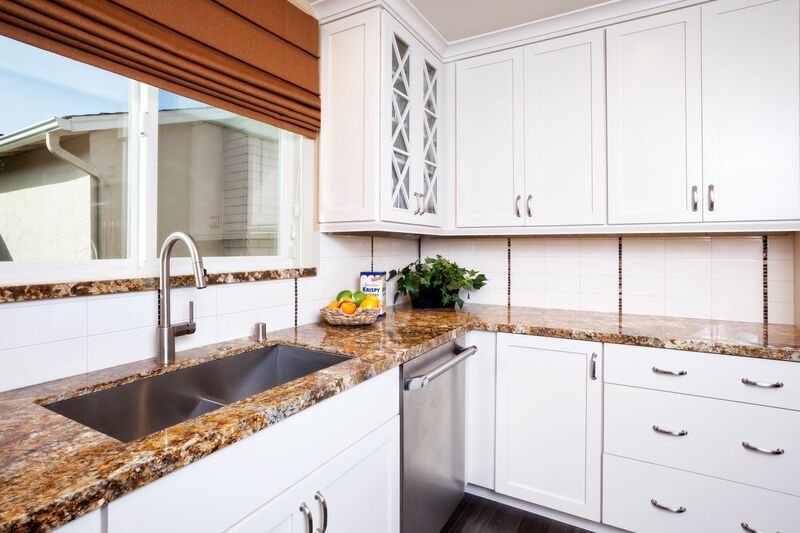 We used under the Adorne cabinet plug strips along with an air switch for the garbage disposer which allowed us to omit the typical back splash outlets and provide the beautiful tile splash to be uninterrupted. White has a bright, clean, fresh and uplifting sense about it. 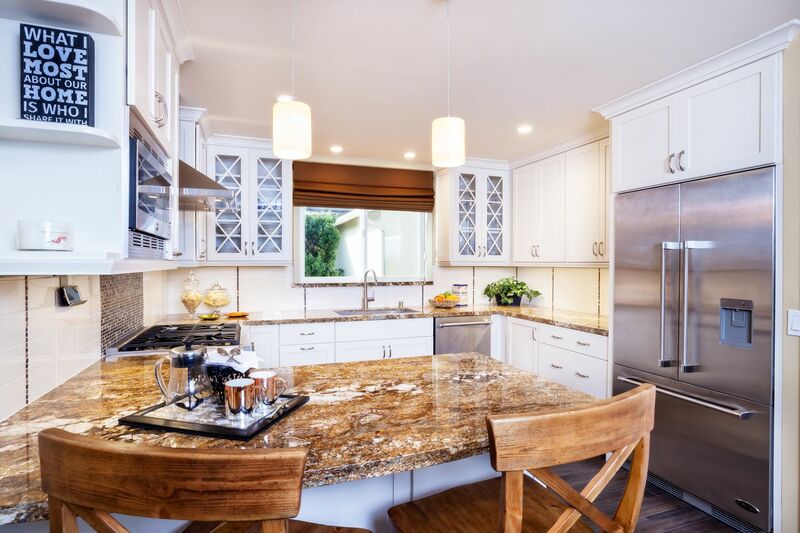 White kitchens appear to be larger than the same size kitchen that is in a darker color. The reason is that white reflects light, as apposed to dark colors that absorb the light. For years I have had requests from my customers to make their spaces to look and feel larger so white is an easy way to create the sense of more space. Being energy conscious, we like to use LED lighting when possible. The Hafele LED under cabinet strip lights are concealed and do a great job of lighting the counter top work spaces as well as providing a wonderful ambiance when used alone. We also used recessed LED lights in the ceilings, providing perfect ambient lighting which make this kitchen energy efficient and yet bright and functional. The design for this client in El Granada called for a coastal and informal feel. Living close to the beach, it was important for him to have a light and bright space that welcomed his guests and was user friendly. This inspired a peninsula eat-in bar that is perfect for enjoying his company; all the while, he is able to cook with-in the separate and yet adjacent work triangle. 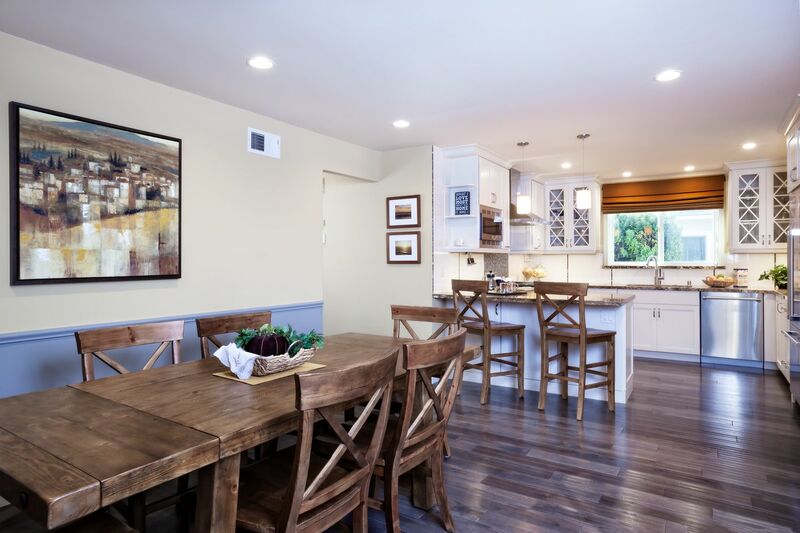 Moreover, the floor plan is open with a dining room that is adjacent to the kitchen, thus allowing for a great space for entertainment. So I cannot think of a good reason not to use white! Because white is bright, white is light, and so why not white? ?